The front door for middle school students! This is our time each Sunday to come together as a community to get to know each other and the God we serve. Various media are used to help us engage during our time together: music, videos, skits, games, teachings—whatever helps us take steps closer to Jesus. After the lesson we go into small groups and then into the sanctuary as a group to worship with the rest of MCC. We meet at 9:30am and 11:15am in the Student Center. 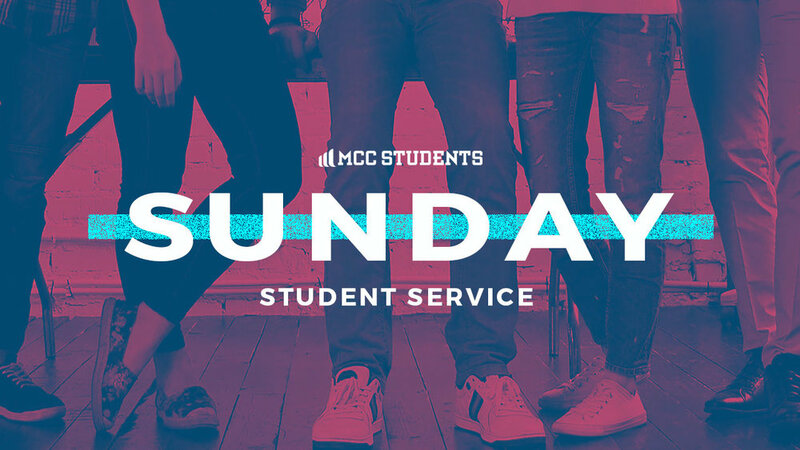 Sunday mornings at MCC is a great opportunity for students in 6th-8th grade to invite their friends to church!